A new method of measuring snowpack in mountains in the Western United States uses lasers. 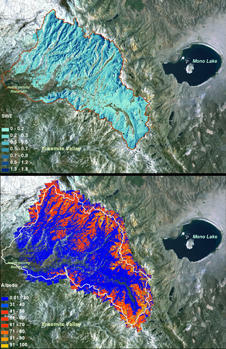 This image shows the snow water equivalent (top image) and snow albedo, or reflectivity (bottom image) for the Tuolumne River Basin in California's Sierra Nevada in April of 2013. The winter outlook is mixed. Although some are saying the wet fall could mean lots of snow in the coming months, a National Weather Service forecaster says there might also be some dry spells. Aspen Public Radio’s Elise Thatcher talks with GJ National Weather Service forecaster Joe Ramey. He says this winter might be very familiar. Measuring Snowpack for an Increasingly "Thirsty World"
A group of scientists are flying over mountains in California and Colorado this spring, measuring snowpack with high-tech gadgets. NASA’s Airborne Snow Observatory mission started last month over the Sierra Nevadas and Southwestern Colorado’s Uncompahgre River Basin. The idea is to measure the snow in a way that’s never been done before, to get an idea of how much water is stored there. Snowpack accounts for 75 % of the Western United States’ freshwater supply. And, as demands for water grow, scientists are working on solutions. The massive winter storm that blanketed our region last week brought more than just smiles to skiers, it delivered needed moisture to the snowpack. Colorado’s mountains store water used for crops, in homes and for recreation so, it’s important to have a good supply. 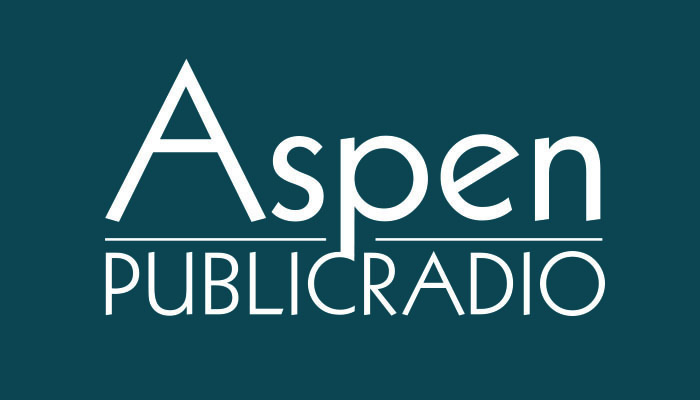 Aspen Public Radio’s Marci Krivonen spoke with the Roaring Fork Conservancy’s Sarah Johnson.